Her SHEROES posts are about of her creations which she calls 'customized fashion.' But I see her work as a passion-meets-reality saga since she is working towards her real dream after being coerced to pursue something she was not interested in. 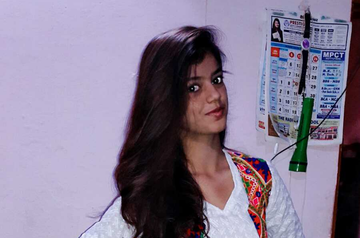 Meet 24-year-old Swati Sahawal a pharmacist by education and a budding fashion designer by profession aka passion! It seems the young girl from Gwalior in Madhya Pradesh, felt my eyes rolling from behind the phone; she laughs, "Mahima Ma'am, I always wanted to be a fashion designer. When in class ten I told my father about my will to chase my passion, it was a BIG NO from him. Since I loved science as a subject, I took up Biology as the main subject in higher studies, but as dreamt by my father, I could not clear the MBBS entrance exam. So, I decided to take up Pharmacy in Graduation. And during those years I understood that being a designer isn't just my dream, it is something that comes naturally to me. And thus I decided to pursue it post B.Pharma." She informs that she is the middle child among three daughters of an engineer father and a home-manager mom. And her father wants his daughters to have a 'well-settled career.' Her elder sister is studying to clear the UPSC exams. So is she also under pressure to quit the vocation of her choice? Swati responds after a pause, "Honestly, my father believes doing business is not a long-term career for women and I should do some stable job. He says I can should my passion only as a side business. So, for now, I am chasing my passion, not to prove him wrong, but to show him that careers are not gender specific!" Swati says having three girl children in India and providing them the best possible education isn't easy in India. “Society has all reasons to criticize you no matter what you do. I remember how my neighborhood aunties were shocked. They even asked mom, me about what's wrong? Why have I chosen to quit Pharmacy and take this up? Initially, I used to try convincing them logically, but now I don't entertain any such talks. My work and success one day will speak for itself. In the next six months, I will be launching a label of my own," asserts a very determined Swati who throws open a plethora of images of her work...on my mail. East meets West - is that your concept, idea Swati? "Yes, you can call it fusion. But this is customized designing," and she details the work as “Customised designing is designing attire for an individual rather than the masses. It is not just what the individual requires, but also what goes with her/his body structure. And it is also as per the budget of the customer." She recalls how she got fascinated by the modern silhouettes and fabrics put to different used by foreign fashion designers. And then she decided to add an Indian touch to it, since India is never out of fashion! "Fashion designing for me is a way of expression... an expression of my thoughts, my beliefs, my vision, my passion, my creativity. 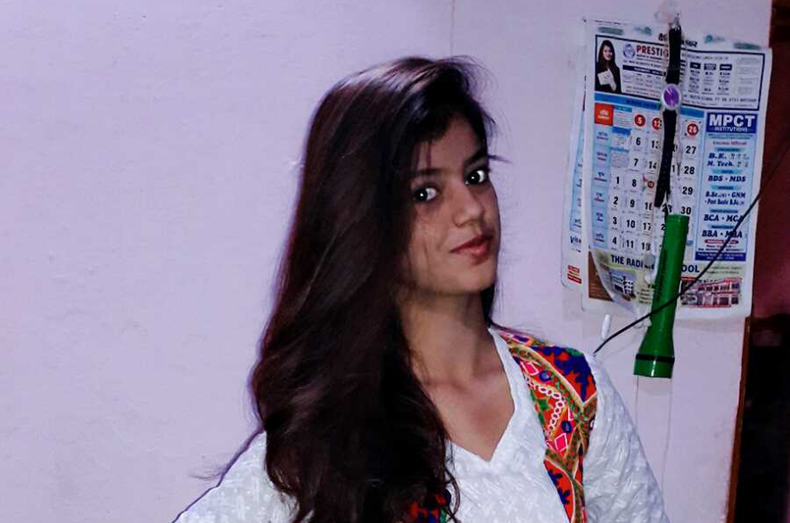 Also, fashion designing for me is a way in which I can make other women feel beautiful, important and confident," says Swati who wants to be known as the CLASS-APART DESIGNER OF THE MASSES. "Not all can afford a Manish Malhotra, but we all deserve to look our best. And that's my motto. Provide you the best that suits you and your pocket! And I wish to be known across the world for this-- I want to make my parents, my nation proud of me. I WISH TO BE A CELEBRATED DESIGNER rather than a Celebrity Designer," she smiles. And slowly and steadily she is taking baby steps to register her company the name of which will be derived from the names of the three sisters - Namrata, Swati, and Tanishqa respectively. How cute is that, isn't it? Let me tell you, this strong-willed woman is described by her family as the girl next door who is crazy about dogs, chocolates, and travel! Swati is already the star of the FASHION COMMUNITY at SHEROES, where her posts garner a lot of queries as well as accolades. She recalls, “I came across SHEROES through a social media post. The name instantly attracted me to join the Communities here. I love the way how women from across the world, from different ethnicity, come together and encourage each other like a big family! I love the way our work is appreciated here. Joining SHEROES has really uplifted my spirit to continue my passion and make a mark." "People, you get just one life, so try your best to take command of it. Believe in your dreams and then only others will do. I know it is tough to chase a passion; I too have obstacles, but don't let those stop us from living the life we want. A life of your dreams just needs four things - will power, hard work, faith, and perseverance. Go for the Moon!" Swati wants to pen a book someday. May be her life story when she has become a celebrated designer - I suggest! She chuckles with joy and bids adieu. If you loved #HerStory don't forget to hit the like and share button. And also leave some good wishes for Swati to excel in her dream project! You can follow Swati on SHEROES. Thank u so much for all the wishes. I thank Sheroes for appreciating my work. All the best to this determined little girl!